Player receives pass from the coach and dribbles in hard for a lay up. 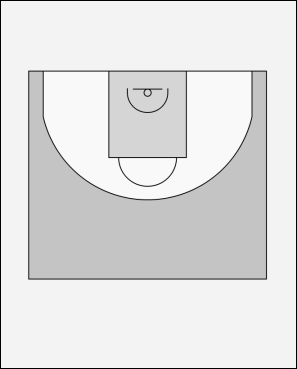 The continue through to opposite side, touch outside the 3 point line, turn and cut towards basket. Receive pass from second coach for catch and shoot option. They run back to start to receive pass, repeat. Continue drill until designated # of points scored.